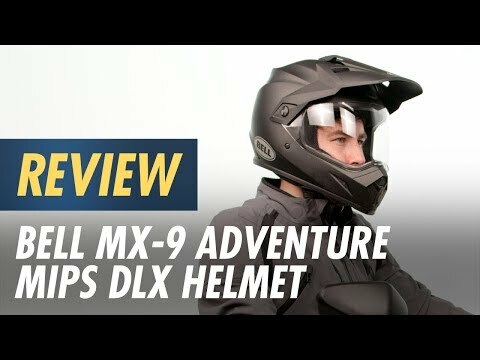 The Bell MX 9 ADV MIPS Helmet utilizes Bell's extensive on and off road experience by combining the best of all worlds into an adventure helmet that is equally competent on the trail or the slab. A full compliment of Velocity-Flow ventilation and an eyeport design which allows use of offroad goggles gets you ready for the dirt. 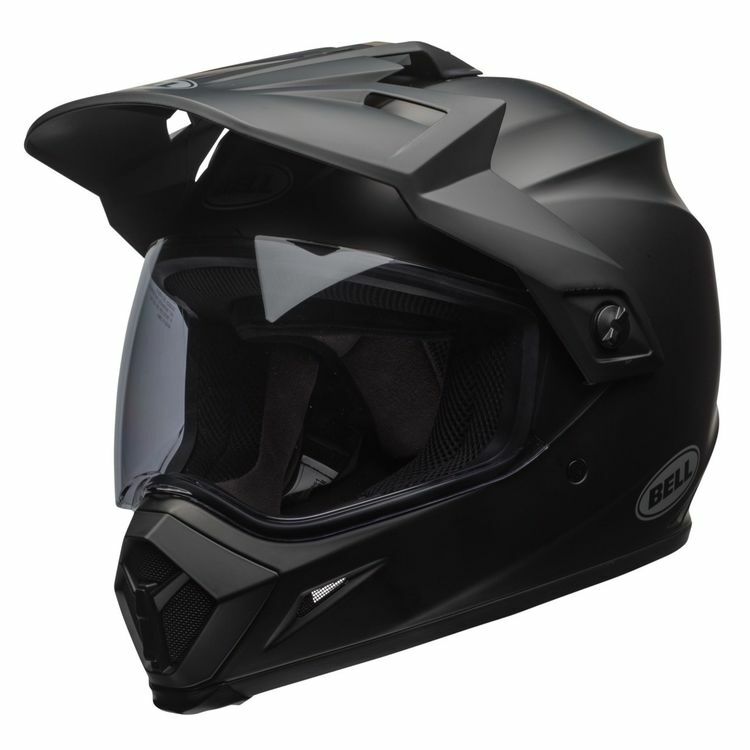 Remove the peak visor and replace with the included side pods to prep the Bell MX 9 Adventure Helmet for street use. No matter where you ride, the Bell MX-9 has you (and your head) covered. The MX-9 ADV DLX comes jam packed with the features of the MX-9 Adventure and also includes the Transitions Adaptive Face Shield.